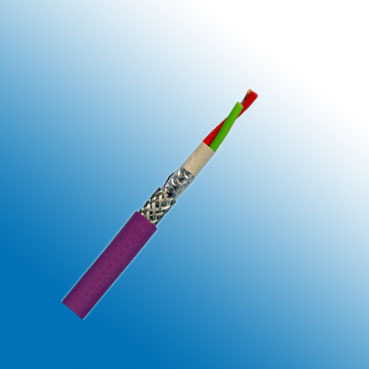 Profibus DP cables are designed for field networks requiring fast, cyclic data exchange between controllers and field devices. This cable is usually reffered as siemens profibus. This Profibus modification optimized with respect to velocity and low installation cost, Profibus DP is used as a replacement for conventional parallel data transmission with 24 V or 0 - 20 mA. Conductor Resistance 57.1 Ohm/km max. Conductor Resistance 84.0 Ohm/km max.